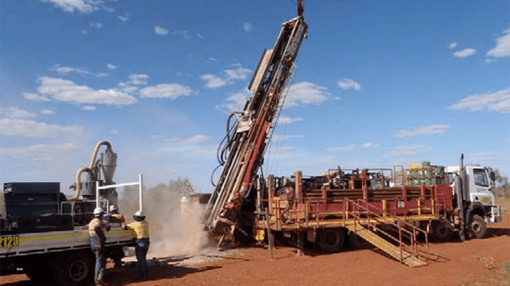 KGL Resources (ASX:KGL) has received diamond drilling results that confirm widespread shallow high-grade mineralisation across its 100% owned Jervois Copper Project in the Northern Territory. The company’s aim is to establish a mid-sized, multi-metal mine at Jervois and a recent Pre-Feasibility Study (PFS) says the project is technically and commercially viable. KGL has worked up an indicated and inferred resource of 25.3Mt containing 280,000 t copper, 18.0 Moz silver, 120,000 t lead/zinc and 113,000 oz gold. To build on the encouraging results of a 10,200m Reverse Circulation drilling programme conducted at Jervois in late 2014, KGL ordered a round of diamond drilling to test four main prospective areas – Bellbird, Marshall, Reward and Green Parrot. The drills delivered results from ten holes for 1,260m of drilling confirming shallow high-grade mineralisation at all four areas in line with previous RC results. Bellbird – 12m @1.48% Cu, 10.8g/t Ag, 0.13g/t Au from 41m. The ongoing drilling allows the company to optimise final open pit designs, which will become the main production zones for the future mine KGL is planning at Jervois. KGL’s Managing Director, Simon Milroy, says the drilling results will be followed by further metallurgical test work to boost Jervois’ prospectivity. “We continue to see good grades in base and precious metals in this program,” he says. A Pre-Feasibility Study (PFS) commissioned by KGL for the Jervois Copper Project has confirmed its potential to become a viable mid-sized, multi-metal mine. Drawing upon drilling results from across KGL’s 100% owned prospect, the PFS says a 2Mtpa mine based on a 25.3Mt resource at Jervois could operate for an initial seven year period for a capex of $189M with $22M in reserve. KGL is working towards attracting an equity partner for the project, and is embarking on a $2.7M work programme to conduct more drilling and test work to enhance its prospectivity.